Wild Ginger: Delicious or Deadly? Rarely does a gift come without a price. Much of the food we eat can be toxic to us, depending on how much we consume, on how we combine certain foods and on who were are, genetically speaking. Eat too much unenriched corn? You get pellagra. Mixed inky cap mushrooms with alcohol? Get ready for a honking case of food poisoning. Are you of Asian descent? Chances are you cannot digest milk. Just as with bracken fern, cicerchia beans and, to some extent daylilies, wild ginger is a double-edged sword. I am talking here about North American wild gingers: Eastern, which is Asarum canadense, and Western, A. caudatum. Neither is closely related to the ginger you get in the store, but both are deeply aromatic and smell very much like store-bought ginger. Their taste is far more subtle, and a little more peppery than regular ginger. Both have been used for eons by Native Americans, and pretty consistently by Americans of European extraction since 1600. Related plants feature prominently in Chinese traditional medicine, and herein lies the problem. Back in 1992, a horrific outbreak of kidney failure cropped up in Belgium. More than 100 people suffered everything from minor kidney damage to total renal failure. Three died. Medical investigators tracked down the cause: Diet pills loaded with a botanical relative of our ginger, a Chinese herb known as Aristolochia fangchi. The culprit in this herb is a substance known as Aristolochic acid, or AA. And it turns out that all kinds of Chinese herbs contain AA. Why were they in diet pills? Traditionally, many of these herbs are also diuretics — and diuretics make you pee a lot, which in turn helps you lose water weight. Diuretics are in a lot of diet products to give people the illusion of fast results. As it happens, our gingers also can contain significant amounts of AA. 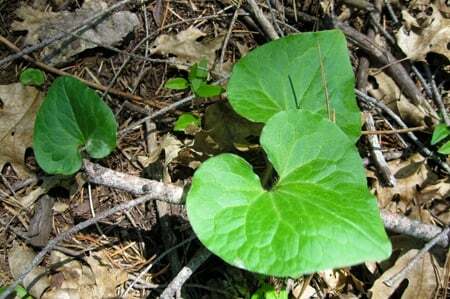 In one study, some Asarum canadense (pictured below) contained 0.037 percent by dry weight of AA. Western wild ginger had consistently lower levels of AA, but it was still present. Here we go again. Once more, it is “the poison’s in the dose” effect that we’ve seen before, especially in bracken fern. The studies attempting to recreate what happened to the Belgians fed rats about 10 milligrams of pure AA per kilogram of their body weight each day for 3-12 months. This was roughly the amount of pure AA the Belgians were eating. After the study, all the rats had serious kidney problems. So it is not in question that AA can cause serious health problems, and given that wild ginger contains this substance, it’s best to not eat it, right? But how relevant is this study to reality? Lots of studies give rats unreasonable amounts of something, just to induce health problems. Is it possible to ingest a dose similar of pure AA similar to what the rats got by eating wild ginger? Possible, but unlikely. 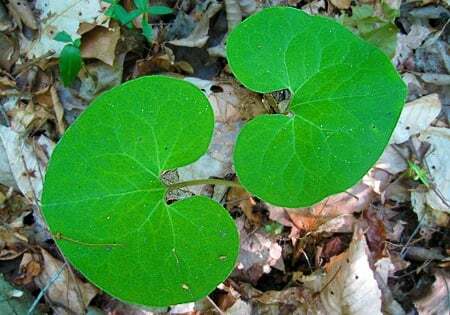 Unlike the case of sassafras, where it would be nearly impossible to ingest enough safrole to get to the toxic doses given to rats in those studies, it is indeed possible to eat enough wild ginger to approach this danger zone. OK, to start, let’s assume that all wild gingers in North America contain 0.037 percent pure AA by weight: This is not true, as this was the highest level tested of the Eastern wild ginger, and remember the Western wild ginger had lower levels. But for the sake of this exercise let’s assume the worst. So 2 ounces of wild ginger, which is a healthy handful, equals 56,699 milligrams. That means those 2 ounces contain roughly 21 milligrams of pure AA. Now I weigh 175 pounds, which is 79 kilos. I would need to eat 790 mg of pure AA to get to the daily dose that gave the rats all those health problems, so I’d need to eat about 4 1/2 pounds of wild ginger to get to that daily dose. And remember that the rats were given this dose for 3-12 months. I am still not sure that eating wild ginger is a great idea, however. Why? I have not been able in my research to determine how “sticky” this AA stuff is, i.e., does the body flush it like other toxins? Or does it bioaccumulate forever? If someone can show me that the body flushes AA I’d feel a lot better about chowing down on some wild ginger. But before you write off wild ginger entirely, let me throw a monkey wrench into your thinking. 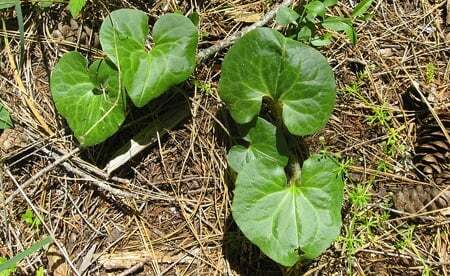 Eating wild ginger may be a chancy proposition, but that doesn’t mean you can’t still enjoy it. Read through the Chinese literature on this and it seems that all these herbs that contain AA in them are, for the most part, not meant to be eaten at all. No, they are meant to be steeped in a tea and drunk. You toss the herb afterwards. The Chinese not being stupid, further research pops up this important tidbit: Aristolochic acid is barely soluble in water. This, my friends, is the key. The FDA protocol for extracting AA is to use formic acid and methanol. Last I checked, no one likes to eat the poison fire ants give off, and all you distillers out there (and you know who you are) will note that methanol is what makes you go blind. However, methanol is close enough to the alcohol we all know and love to make my idea of infusing wild ginger with vodka seem not so smart. Not sure I want maximum extraction of that AA in my ginger for a cocktail. Another idea I had — making a wild ginger vinegar — also was scotched by the science. It seems AA is also highly soluble in acetic acid. Damn. Water is your friend. The Meridian Institute determined empirically what the Chinese herbalists have been prescribing for eons: Steeping the various AA-containing herbs, in the Institute’s case our Eastern wild ginger, in water for up to 8 hours extracts only 1 percent of the AA that the herb contains. One percent. To go back to my example with the 2-ounce handful of wild ginger, even assuming it has the highest AA level that the Schaneberg study found, that would mean I would only ingest 0.21 milligrams of AA if I drank a tea infused with all that ginger. At that rate, I’d need to drink 3700 glasses of that tea to equal the amount of AA I would get from actually eating the ginger. Now that I can live with. This is far closer to the low levels of risk you get by making your own root beer from sassafras, which is to say not very high. Following my own advice, I made a wild ginger ice cream that was da bomb. It was also just about as low in AA as I could get: I used 2 ounces of Western wild ginger, which, remember, is significantly lower in AA than it’s Eastern cousin, to make a quart of ice cream. And there is no way I can eat a quart of ice cream in a day, or even a week. In terms of risk, I’d say the sugar and fat in the ice cream is a bigger health hazard than the small amount of AA present. Bottom line is that this is a plant with powerful effects. It is both delicious, and, eaten in certain ways or in certain amounts, can be deadly. You must decide for yourself whether it’s worth it. With a pretty decent grounding in medicine, I second what was said above. Used in traditional ways and with some cautions, it’s going to be safe to eat without any need to obsess over the dose. The First Nations people used wild ginger in small but consistent amounts, without any trouble. 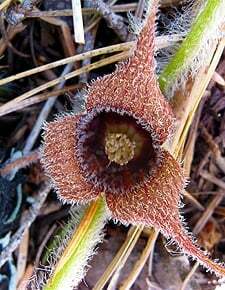 It was sometimes used as a spice by itself, but more often as part of a combination where the wild ginger made the other spices have more “pop”. Most Indians had as good a shot at living to be 60-70 years old, and I’d bet none of them died early from ginger-induced kidney failure, anymore than I’m likely to die from eating too much cinnamon. Over time, the liver and kidneys work to clean up all the many, many, many toxins that are in the foods we eat all the time. I eat a lot of blueberries every summer, until on toward the end of the season, it stops being of interest to me–probably because my body is signalling that the toxins in blueberry seeds are starting to be high enough to trigger my body’s natural “stop eating this” signal. Next summer, I’m all about overdosing myself on blueberries again, lol. The standard cautions apply; just like with everyone’s individual reactions to tree nuts, or eggplant, or milk, some people are going to be allergic or intolerant. Wonderful article. I love finding common sense (with facts) answers to things like this. Too often people are way too casual or way too scared. This just makes sense. I just found some wild ginger nearby and since it was new forage material to me the first thing I did was identify the heck out of it. Once I made sure, I started researching on how best to use it. I am familiar with the paranoid research done on many herbs (like comfrey), but it always makes sense to be cautious to an extent. I will be making myself a few cups of wild ginger tea now, but will wait before offering it to anyone else in my family! Thanks for a well informed take on this. KT Wolf’s comment was very helpful as well.